If you want to create a simple QR Code that shows text when scanned, you need to create a text QR Code. Unlike barcodes that store numeric data only, QR Codes can store alphanumeric data included spaces, punctuation, and symbols. Hence, there are multiple types of QR Codes one can create. How is a text QR Code useful? 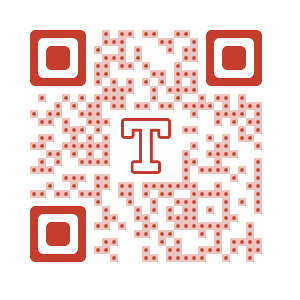 You can create two types of text QR Codes—Simple text QR Codes and Rich text QR Codes. In this article, we’ll focus on simple text QR Codes. How to convert text to QR Code? 1. Go to a Text QR Code Generator. 2. Enter text in the given field and click on Create my QR Code. 3. Your QR Code has been generated and you have three design options to choose from – standard black-and-white, fancy with custom logo, or fancy with custom background. 5. Note that you will need to sign-up for a free trial account before you can download the QR Code. An account is required to save and download the QR Code for future use. Note that simple text QR Code is static in nature. This means that you cannot change its content once the QR Code has been generated. How to generate text QR Codes in bulk? You can integrate a QR Code Generator API with your information system (such as inventory management software) to automatically generate the code when required. Learn more about QR Code API. QR Code Management Service (such as Scanova) provide bulk generation services. You simply need to provide the text data in a spreadsheet and the QR Codes will be generated for you within a span of 48 hours.